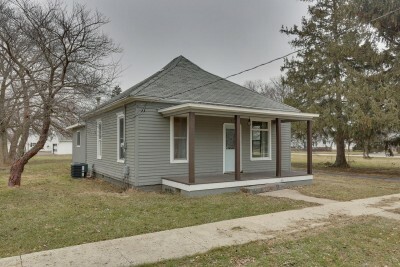 This adorable two bedroom home has been completely remodeled and is situated on a large lot. Nothing to do but to move in! All rooms of generous size. Great storage in the mudroom. Detached garage plus a shed. Updates include new A/C unit, new windows, upgraded plumbing and electrical, brand new bathroom, rebuilt front porch, new exterior/interior paint, upgraded lighting, granite counters and all new wood laminate floors throughout living room, dining room, and kitchen. Brand new carpet in bedrooms.